The following is “Part 2” of a multipart essay on the deep history of Western esotericism and its influence on Mexicayotl and other American indigenous traditions. If you haven’t already done so, please read “Part 1,” it provides the necessary context for understanding some of the ideas discussed here. In the first part of this essay, we briefly looked at some of the early proponents of pseudo-historical and pseudo-archeological ideas about lost continents, lost civilizations, cultural diffussion (which should have been more properly labeled “hyper-diffusionisn”), and catastrophism. All of these fantastical ideas have been thoroughly discredited by most serious scholars; unfortunately, bad ideas have a knack for spreading and persisting while continuing to gain acceptance well into the present. In this second part, we are going to quickly survey how some of those ideas took root very early in the Spanish colonial period and have continued to influence the way indigenous American cultures are interpreted and perceived. Open up any search engine and type in the words “ancient” and “mystery” in any combination, and you’ll get an innumerable list of results ranging from books, “documentaries,” and websites that peddle pseudo-knowledge about the past in one form or another. Because so much mystery surrounds ancient cultures due to the mere fact of their antiquity, the average person will believe and accept almost anything uncritically if it sounds legitimate and conforms to their personal biases. This is not the place to elaborate on the difference between knowledge and belief, but it is telling that, despite our smug attitude about how far humans have advanced, the vast majority of people still don’t understand the basic principles of the scientific method. That’s why people like Ocelocoatl (the Mexicayotl elder mentioned in the previous segment) can go around giving talks full of pseudo-knowledge and outright fabrications about catastrophism and its relation to the Nibiru, Planet X, and the supposed 2012 Olmec prophecies that never materialized. Figures like him conjure up mystery in antiquity to create a sense of authority that, when mixed with religious doctrine, produces a belief that no amount of facts or reasoning can dispel. This is precisely the sort of thinking that was involved when the first Spanish colonial authors began searching for the source of American indigenous societies. But there is no reason to dispute or doubt the island Atlantis, for the discovery and conquests of the Indies plainly clarify what Plato wrote of those lands, and in Mexico they call the water atl, a word that seems, if it is not already, like that of the island. It is distressing, however, that using science and being critical of supposed tradition makes one persona non grata in your own community. I didn’t really begin to look into these claims about Atlantis and ancient aliens until 2010, and when I did bring it up to my fellow Mexika, I got significant push back for daring to question what has now become standard thought in Mexicayotl. Some of the misguided notions include the idea that Atlantis is related to Aztlan and that our alien forefathers came from the Pleaides star cluster. Suffice it to say, there are a significant number of Mexicayotl adherents who believe in these assertions, but I don’t blame them for doing so. It is true that certain indigenous traditions promote the notion that human origins lay in the stars, in particular the Pleaides. Those individuals are well within their right to take a fundamentalist approach to their tradition, but it also within our right as modern human beings—living in an age where knowledge has progressed to the degree that it has—to also modify and adjust those traditional tenets to conform to reality. But, I’ll leave it there for now, these claims and others like them will be thoroughly discussed in a later segment of this series. After Acosta’s dismissal, there wasn’t any serious attempt to prove the Aztlantis Hypothesis. That is until it was revived in the 19th century after the “discovery” of the Maya ruins in Yucatan and Central America. That the Phœnician alphabet, parent of all the European alphabets, was derived from an Atlantis alphabet, which was also conveyed from Atlantis to the Mayas of Central America. That a few persons escaped in ships and on rafts, and, carried to the nations east and west the tidings of the appalling catastrophe, which has survived to our own time in the Flood and Deluge legends of the different nations of the old and new worlds. This is probably one of the earliest fusions between pseudo-knowledge and white supremacy. Not only are the Maya no longer center-stage, but they are relegated to an offshoot of the greater Aryan race, and thus, the notion that indigenous people could not have possibly developed their own scientific, architectural, and mathematical knowledge begins to take shape. I should also point out that the idea of Atlantis as an ancient Aryan homeland is still very much alive and well (see Figure 2). Figure 1: National Socialist White Revolutionary Party. The Aryan Eagle, Jan/Feb 2001. http://archive.org/details/AryanEagle33. What was at first, as it was believed, Plato’s dream, is becoming reality … The relationship between Basques and Nahoas is likely, for it seems that the former are the Atlanteans that spread west into what is now the New World, and the latter the ones that occupied the east of Atlantis with the name of Iberians. In Chavero’s telling, not only is Atlantis a possibility, but the ancestors of the Nahua and the Spanish are one and the same. This was a time before mexicanidad as we know it today had materialized, so equating the Spanish with nahuatlatos was no big deal. But he wasn’t the only with wild ideas about Atlantis and ancient Mexico. In the next segment of this ongoing series, we’ll explore how fringe ideas, like those of Chavero, become deeply entrenched within Mexicayotl and other indigenist traditions. Tlakatekatl is a long-time Chicano activist, a danzante Mexika, and a scholar with a PhD in history. A founding member of Yankwik Mexikayotl, his research explores Chicana & Chicano indigeneity and its deep connections to ethnic Mexican indigenist nationalism. He has presented at various institutions and conferences, including the University of North Texas—Denton, Southern Methodist University, and the National Association of Chicana & Chicano Scholars (NACCS). He’s taught and continues to teach at various institutions in Texas and New Mexico, and is working on turning his dissertation into a book. Francisco López de Gómara, Historia general de las Indias, vol. Vol II (Madrid: Calpe, 1922), 248, http://archive.org/details/historigeneralde02lprich. “Pero no hay para qué disputar ni dudar de la isla Atlántide, pues el descubrimiento y conquistas de las Indias aclaran llanamente lo que Platón escribió de aquellas tierras, y en Méjico llaman a la agua atl, vocablo que parece, ya que no sea, al de la isla.” Translation adapted from Jason Colavito, “Atlantis in America: Origins,” Jason Colavito (blog), accessed June 4, 2018, http://www.jasoncolavito.com/1/post/2012/04/atlantis-in-america-origins.html. Jason Colavito, “Francisco López de Gómara: A Father of Alternative Archaeology?,” Jason Colavito (blog), accessed June 4, 2018, http://www.jasoncolavito.com/1/post/2012/05/francisco-lpez-de-gmara-a-father-of-alternative-archaeology.html. 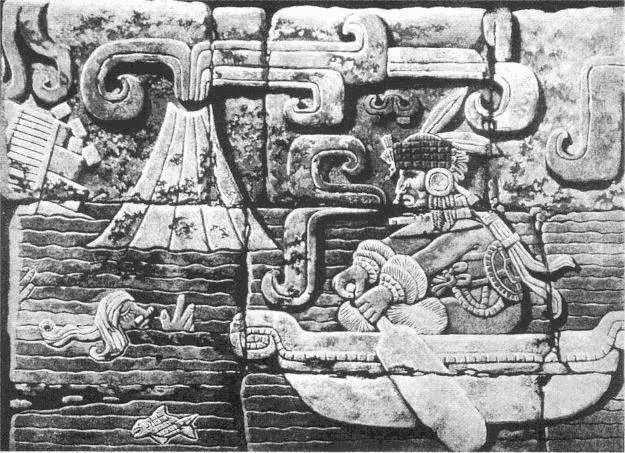 Jason Colavito, “Atlantis, Mu, and the Maya,” Jason Colavito (blog), accessed June 4, 2018, http://www.jasoncolavito.com/atlantis-mu-and-the-maya.html. Original Spanish (my translation): “Esto tratan y disputan hombres de buenos ingenios muy de veras, y son cosas tan de burla considerandose un poco, que mas aparecen cuentos, ó fábulas de Ovidio, que de Historia, ó Folosofia digna de cuenta”; in José de Acosta, Historia natural y moral de las Indias, en que se tratan las cosas notables del Cielo, elementos, metales, plantas y animales de ellas ; y los ritos, ceremonias, leyes, gobierno y guerras de los Indios…, 6th ed. (Madrid: Pantaleon Aznar, 1792), 67. Ignatius L. Donnelly, Atlantis: The Antediluvian World (New York: Harper & Brothers, 1882), 2. Original Spanish (my translation): “Lo que fué en un principio, según se creía, sueño de Platón, va tornándose en realidad … Las relaciones entre vascos y nahoas son probables; parece que son los atlantes que se extendieron al occidente en lo que es hoy el Nuevo Mundo, y ocuparon el oriente de la Atlántida con el nombre de iberos”; in Vicente Riva Palacio et al., México a través de los siglos : historia general y completa del desenvolvimiento social, político, religioso, militar, artístico, científico y literario de México desde la antigüedad más remota hasta la época actual … (Barcelona: Espasa y Compañía, 1888), 71, 73, http://archive.org/details/mexicotravesdelo01riva.